Mairead O'hEocha paints small landscapes that are both graceful and intelligent. Low-keyed pictures, coloured predominantly in elegant shades of grey, green, and blue, they are rooted in a painterly tradition of modest and sensitive observation that includes artists as various as Corot, Morandi, and Maureen Gallace. 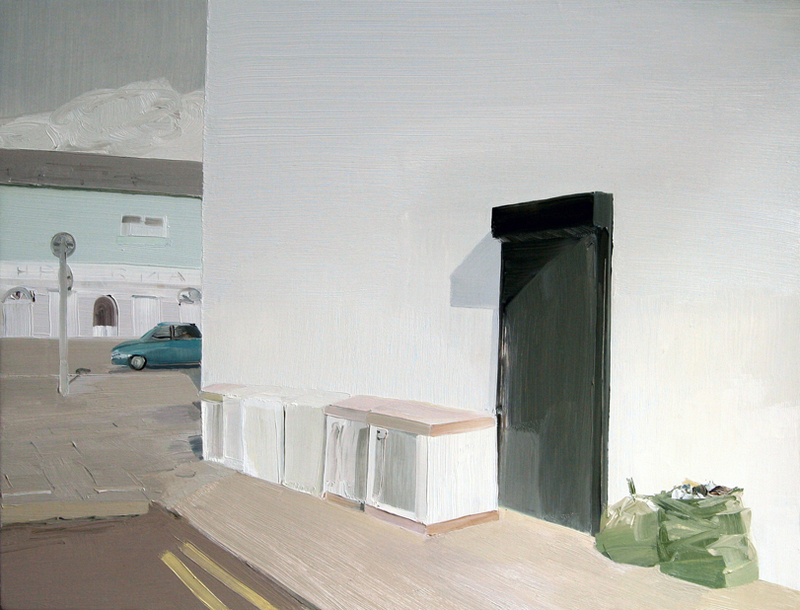 Nevertheless, in their quiet way, Mairead O'hEocha's images are unmistakably contemporary and individual. More often than not they depict Irish edgelands, those curious but unremarkable places where cities and towns merge with the natural landscape. And as the Irish countryside, in recent years, has become more and more developed, so there are increasingly frequent instances of incongruent juxtapositions between the rural vernacular and styles of modern urban life. These are the liminal areas that the paintings reflect. 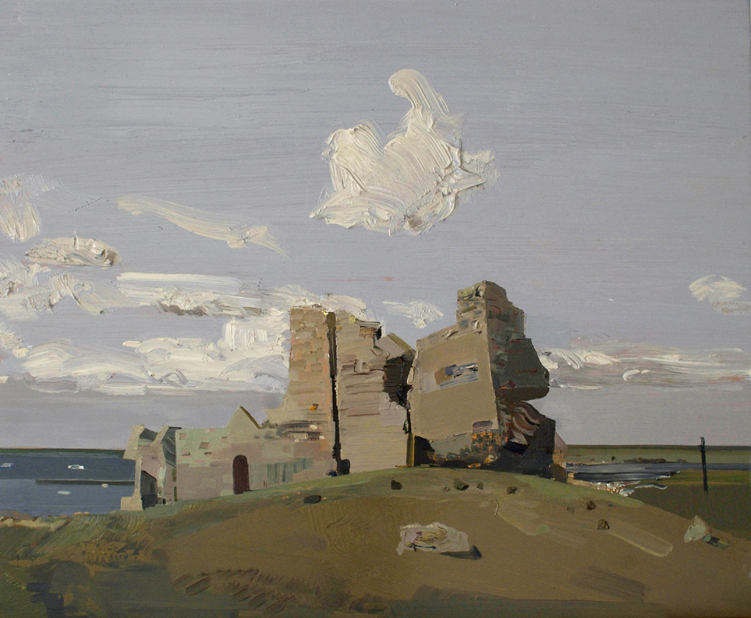 O'hEocha does not comment directly on the uneasy contradictions of the Irish edgelands; her paintings, which are neither approving nor critical, seem to gaze, with distant affection, on those overlooked parts of Ireland where a sense of belonging and permanence is being slowly eroded and replaced with a mood of transience and uncertainty. 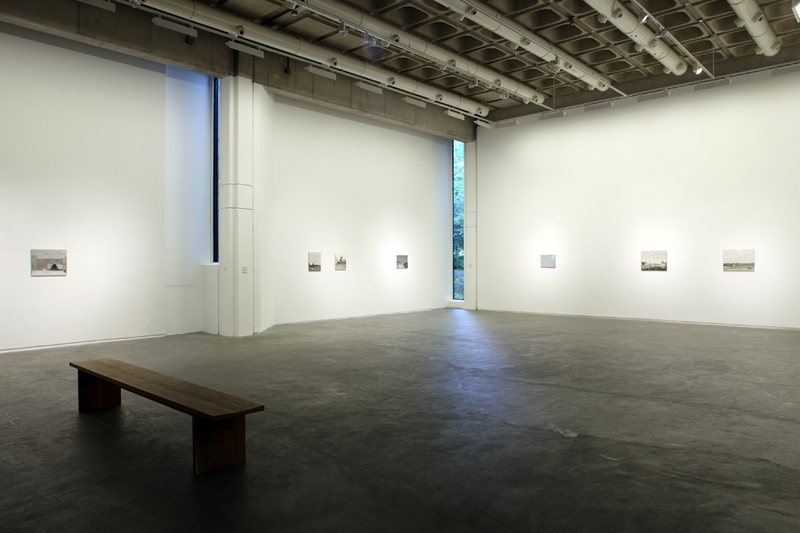 Several of the more recent images in this exhibition are of Dublin, the capital and economic hub of the country. But this is a city that is not immediately recognizable; what we see is a place in a process of uneasy change, where the centre doesn't hold and where only peripheral corners and forgotten edges seem to have any connection with the comforting resonances of the past. 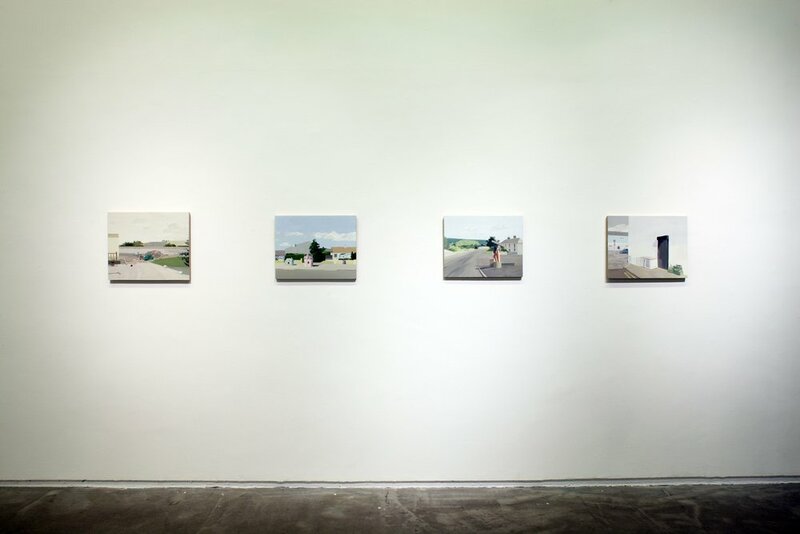 The Douglas Hyde Gallery gratefully acknowledges the help and support of the artist; Finola Jones of mother's tankstation, Dublin; and Anna O'Sullivan of the Butler Gallery (which recently held a related exhibition of Mairead O'hEocha's work).